One year on from the devastating collapse of Rana Plaza in Bangladesh, has fast fashion managed to turn its image around? More importantly, has it changed its behaviour? From the latest profit figures, the tragedy has not directly impacted the bottom line of fast fashion retailers. UK retailer Primark, which had a contract with a manufacturer at Rana Plaza, reported record profits for 2013. H&M and Inditex (the Spanish company that owns Zara), which did not have contracts with Rana Plaza but do manufacture in Bangladesh, also reported positive growth for the first 2014 quarter. So what is behind fast fashion’s image problem? The term itself is automatically associated with low-cost, high-volume product, with concern for social responsibility low, though in reality this is not always the case. Concerns over labour conditions and environmental impacts of outsourcing to developing countries have long dogged the fast fashion industry. Rana Plaza was not the first, and won’t be the last. The worldwide media attention surrounding the disaster now means companies are likely to face even more scrutiny in the future. A study conducted earlier this year shows good incentives for companies to clean up their act. It revealed that consumers value ethical behaviour in a company, with brand perception improving if the company acted as a member of society, and did more than just donate to charity projects. Caroline Regidor, managing director of First Degree PR says it’s always better to look at how issues can be avoided in the first place. “It doesn’t start after the event, when it has been reported in the press, when people have died already. It starts with prevention,” she tells Marketing. Nike dealt with intense criticism of sweatshop labour in its Indonesian factories after damning reports of labour conditions surfaced in the early 90s. Since then, it has worked to improve conditions at its factories and align its image with human rights groups pushing for positive change. In 2005, the company became the first in the industry to publish a complete list of factories it contracts with. While the company’s newfound commitment to transparency hasn’t completely turned around working conditions, being upfront about its practices rebooted consumer trust in the brand. In the month following the factory collapse in Bangladesh, a number of smaller retailers took the opportunity to assure their customers that they would never be entangled in the same fate. US online retailer Everlane published a photo-heavy report into its manufacturing process, visiting their contracted factories across China and the US. The report stopped short of detailing garment workers’ wages, as well as the factory names (for fear of compromising other retailers who manufacture there) but was a step in the direction of transparency. American Apparel, the brand that has built its name on being ‘Made in downtown LA’ also reinforced its ethical line. 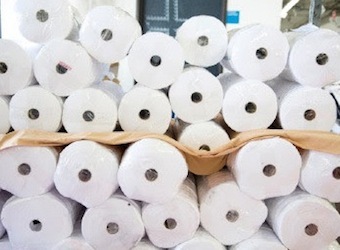 It continued its long history of marketing ethically produced goods with a visual campaign providing consumers a glimpse of the process behind the brand’s T-shirts. Regidor views increasing transparency only as a positive. “They [clothing companies] need to be as transparent as what’s necessary in Western countries. I don’t think there should be double standards depending on which country you’re operating in,” she says. Since the Rana Plaza tragedy, 150 European brands (Zara and H&M included) have signed up to an accord that details measures to enforce audits and inspections that theoretically ensures safety for factory workers, the results of which are published on its website. But a number of US companies such as GAP, Walmart and Target signed up to a different alliance that mandates audits but is not bound to publish the results. For the most part, retailers involved with the event poured donations into a fund, a sensible measure in crisis management. But companies should approach the issue with long-term strategies. “It’s hard to predict how the different companies that were impacted by the Rana Plaza incident are going to react. Certainly my advice to any company would be to stay sustainable,” says Regidor.